Character parties are the most popular package Kaleidoscope offers: not only are you getting some awesome entertainment, but larger-than-life family memories. 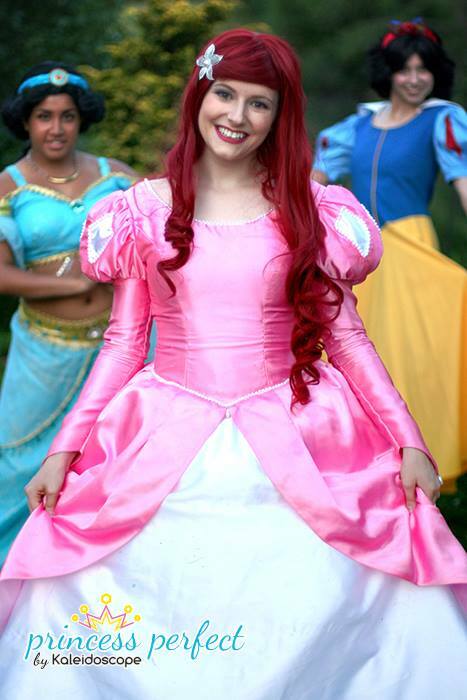 Because most of our clients are parents and not professional party planners, here’s a list put together by our Princesses of things they’d like you to know for your upcoming character party. Our princesses will text you the morning of your party. Please communicate anything you think might be helpful to them, especially (1) what type of space the party will be held in, (2) if there are any other activities they should work around, (3) if our character has “met” them at any other events, grand openings, or theme parks. During that conversation, let us know where to park. A desecrate parking space a block away so the child can’t see Cinderella climbing out of her Honda is perfect; but any more than a block away becomes a bit hard to transport their equipment. If your package comes with games, have space set up to move. Back yards and party halls are ideal, but if they’re inside, a cleared-out dining room or living room with furniture moved to the sides is perfect since kids love to stretch out in the space! If your package comes with face painting or balloon twisting, have a table and 2 chairs waiting. 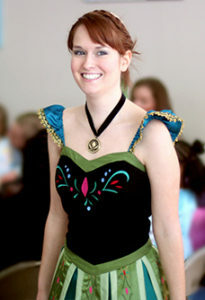 This helps the princesses jump right into entertaining instead of having to wait around. Don’t forget: there will be a bit of a line, but the princess will be engaging those kids at all times. More tips on face painting and balloon twisting can be found on this blog post! Beware of older kids trying to break the magic. Our princesses are all equipped for 9 year old boys who tell Tinkerbell she can’t fly (“Of course I can’t–I used all of my Pixie Dust to get here, and I need to get more!”) or middle school sisters sick of Frozen who try to pull off our actress’s wigs (although many don’t use wigs). The parent helper is double-helpful for this! Don’t ruin the magic yourself: slip the remaining party balance in their treasure chest or follow them out, don’t offer Snow White a glass of wine, and make sure no other adults are making “side talk” with the characters that might hint that they’re anything other than real life.